Your mortgage is probably the largest debt you will ever incur and should be addressed in your Wealth Plan. Securities offered through LPL Financial, Member FINRA/SIPC. 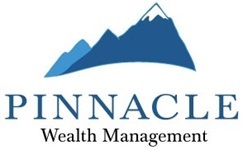 Investment advice offered through Pinnacle Wealth Management, a Registered Investment Advisor and separate entity from LPL Financial.